Asclepias incarnata.Frank Bramley. Copyright © 2014 New England Wild Flower Society.gobotany.newenglandwild.org (12/2014). 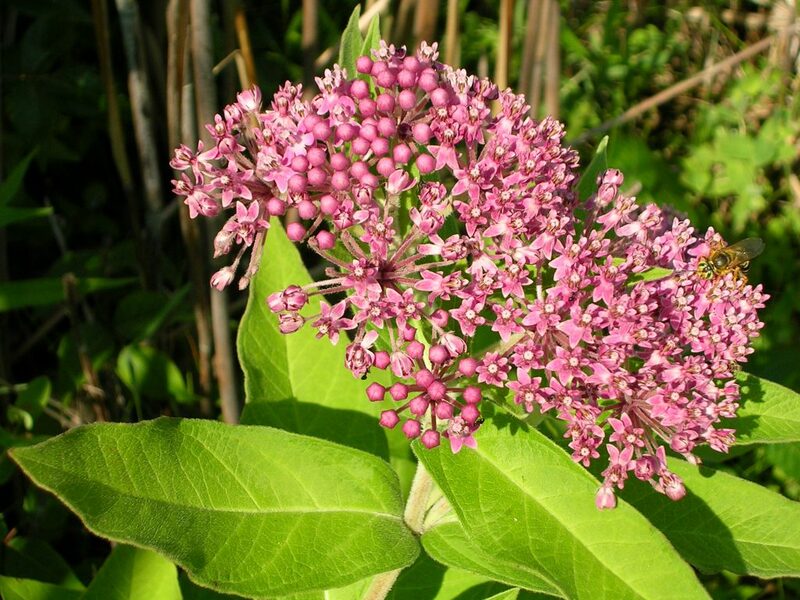 Asclepias incarnata is a perennial herb to 1.5 m tall, stems leafy, branched above, stems single or clumped, sap milky. Leaves opposite, to 20 cm long, lance-shaped, tip pointed, base blunt to slightly lobed. 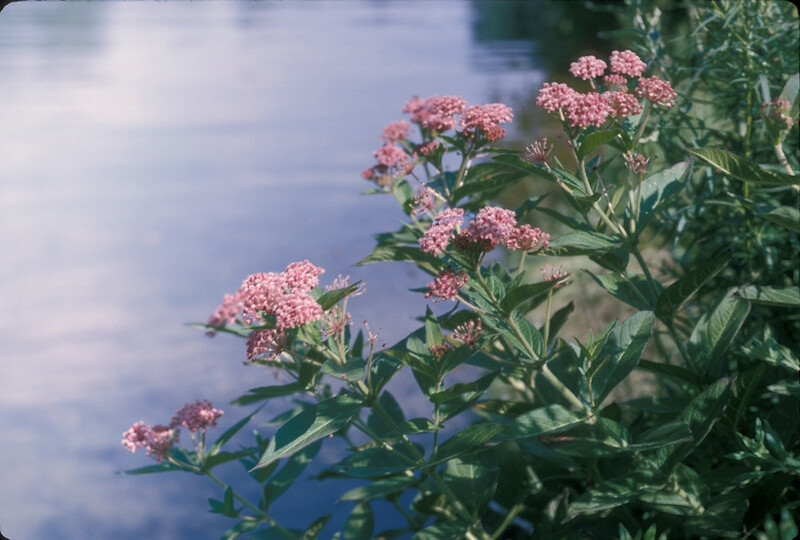 Flowers pink about 0.8 cm, in umbrella-shaped clusters insect pollinated, July- Aug.
Asclepias incarnata fruit and plumed seeds. 2008 © Peter M. Dziuk .Minnesota Wildflowers. minnesotawildflowers.info (12/2014). 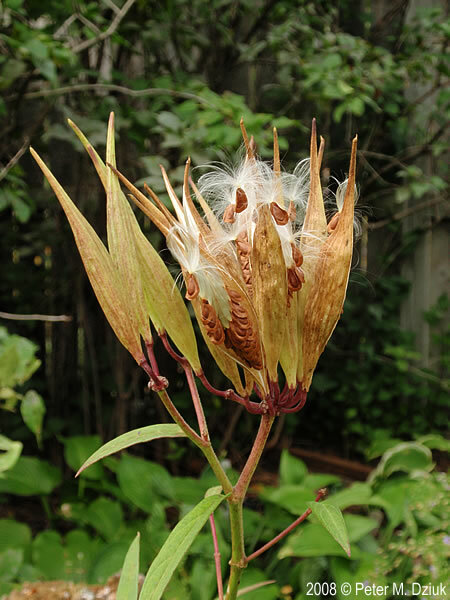 Fruit dry pods, narrow, to 9 cm, long pointing upwards, finely hairy, splitting open length-wise to release flat, brown seeds with white plumb, wind dispersed through autumn. Plants occasionally fed upon by Chrysomelid beetles (Labidomera clivicollis) and larvae of monarch butterflies (Wilbur 1976; Bhowmik and Bandeen 1976; Dillon and Dillon, 1972). Habitat Open, undisturbed wet areas, marshes, tolerate soil pH 5-8.